This weekend, H.E. 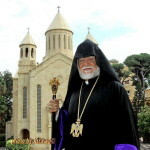 Archbishop Moushegh Mardirossian, Prelate, will travel to San Francisco to join the parish community in celebrating the 47th anniversary of the establishment of St. Gregory Church. On Sunday, December 8, 2013, the Prelate will celebrate Divine Liturgy and deliver the sermon at St. Gregory Church. A luncheon in honor of His Eminence will follow, organized by the Board of Trustees and Ladies Auxiliary. On Saturday evening, His Eminence will attend a New Year and Christmas reception also organized by the Ladies Auxiliary. 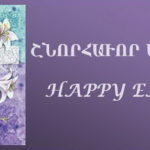 On Saturday, November 30, the annual banquet of the Armenian National Committee of America – Western Region was held at the Dolby Grand Ballroom in Los Angeles. Archbishop Barkev Martirosyan – Khrimian Hayrig Award, Mayor Eric Garcetti – Man of the Year, Assemblyman Katcho Achadjian – Legislator of the Year, philanthropist Manas Boujikian – Legacy Award, basketball coach Jerry Tarkanian – People’s Champion, and activist Ara Soudjian – Vahan Cardashian Award. 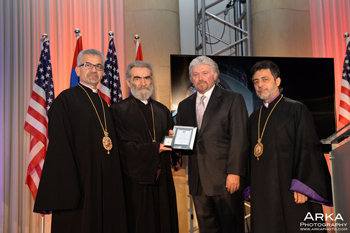 The Prelate delivered the invocation, in which he commended the hard work and devotion of the ANC-WR board members, staff, and volunteers, reaffirmed the community’s support to the organization’s mission as the voice of the Armenian people and a champion of the Armenian cause, congratulated and commended the honorees for their service, and the public officials, sponsors, and friends in attendance for their continued support. 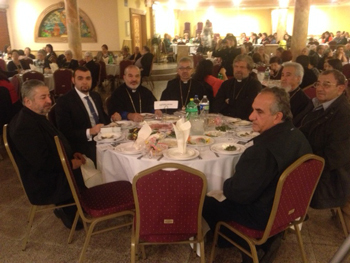 The Prelate was the first to receive the Khrimian Hayrig Award at the 2011 ANCA-WR Banquet. Last year’s recipient was Rev. Joe Matossian. 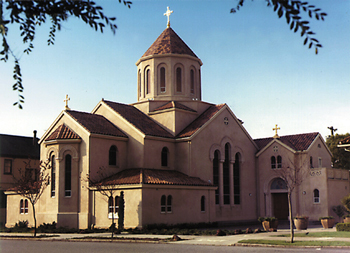 On the evening of Wednesday, November 27, the annual Thanksgiving dinner of the Armenian Ecclesiastical Brotherhood was held at “Karapetian” Hall of St. Garabed Church in Hollywood. The Prelate attended and delivered his message. He was accompanied by St. Garabed Church Pastors Archpriest Fr. Vicken Vassilian and Archpriest Fr. Hrant Yeretzian, and Crescenta Valley Pastor Rev. Fr. Ghevont Kirazian. Shake Darakjian, a young member of the Brotherhood, served as the Master of Ceremonies. Remarks were delivered by members Avo Kabakjouzian and Hrach Yessaian. 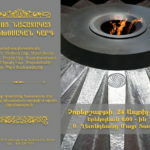 The cultural program featured songs, psalms, and theatrical performances by the youth, and singer Nshan Tchaghatsbanian.